A good emergency kit is vital for the survival of you and your family. For many people, the question isn’t if an emergency will happen, but when will it occur. Whether it’s a natural disaster or car breakdown, you want to be prepared for the worst. That’s why you’ll want to make sure your emergency kit has all the essentials like the Army Gear Tactical Flashlight. 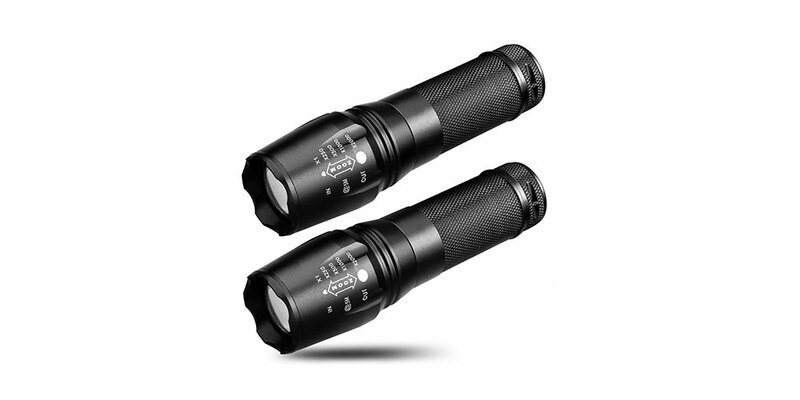 Get your Army Gear Tactical Flashlight: 2-Pack today for over $40 off its original price! There’s nothing worse than being caught without a flashlight when the electricity goes out. It can be scary and dangerous when you’re forced to feel around in the dark for the path out the building. Thankfully, you’ll be prepared and have the same flashlight used by Special Forces to help illuminate your path. 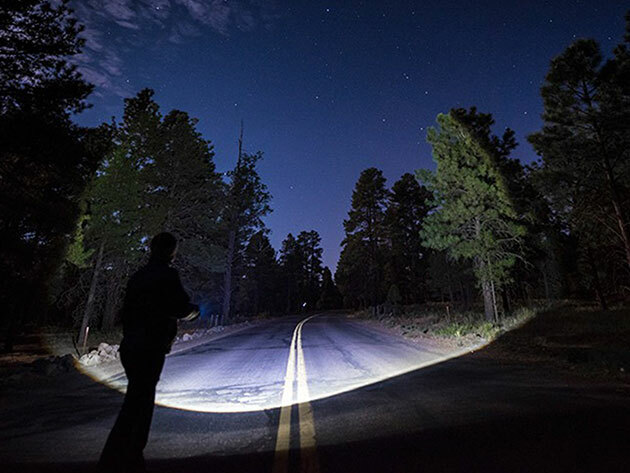 Providing 800-lumen brightness, the Army Gear Tactical Flashlight can light up your surroundings up to miles away. You have the option to choose between 5 different built-in lighting modes to best suit your situation. The adjustable chassis allows you to select the ideal amount of light coming out. The exterior is constructed out of a sturdy and lightweight titanium alloy shell. Get your Army Gear Tactical Flashlight: 2-Pack today for $17.99, which is 70% off the original price!